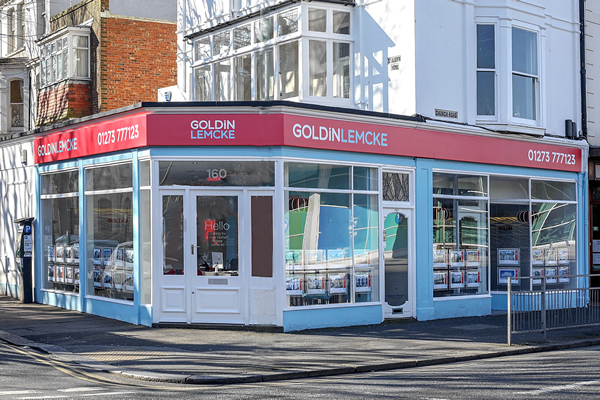 In our Read full description...Goldin Lemcke is an independent Estate Agent, founded in 2002, owned and run by Simon Goldin. With a successful and friendly team we have a wealth of local knowledge, enthusiasm and professionalism with an excellent reputation. Come in and say hello. Whether you're buying or selling, every member of our team will take the time to get to know you and your home personally, so that we can achieve the results you're looking for. We provide a comprehensive and professional service that is highly valued by our customers. It is thanks to our outstanding reputation in Brighton & Hove, that a large proportion of our business comes from customer recommendations. It is our job to take the stress out of selling your home. We will be there for you every step of the way, taking an active role during every viewing to ensure prospective buyers see your property's full potential. We have many years experience, so we know the best way to handle every stage of a sale. We will guide you through the entire process, from the day you get in touch, through to the exciting day you move. Our professional service hasn't gone unnoticed. We are proud to have won the Brighton & Hove Estate Agency Association award for Raising Professional Standards. Despite offering a much better service than most, their fees were the most competitive. Very good! We looked at online estate agents, which were substantially cheaper. However, given our complex needs, we were happy to pay the extra to hand this over to Toby to take care of. He was worth every penny. More than happy with the level of agents fees and the service we received in return.